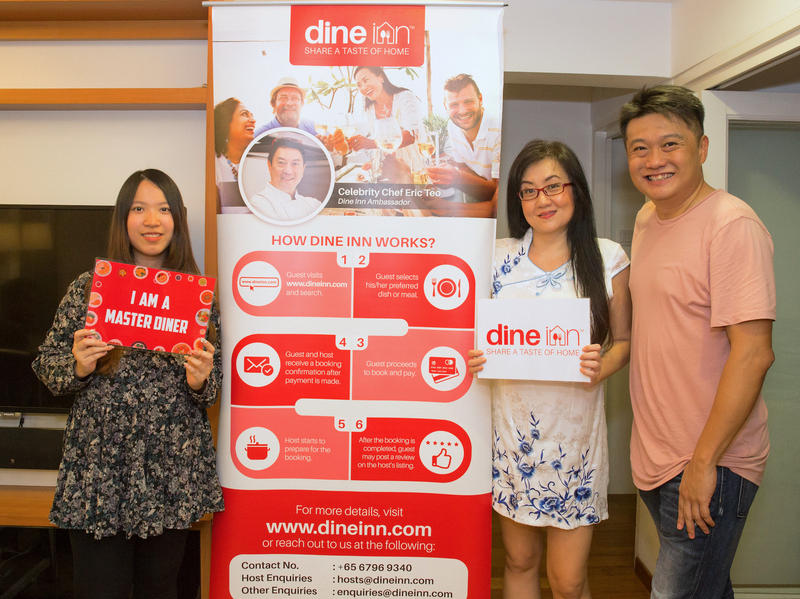 One deserving foodie has won Dine Inn's Master Diner title and S$2,000 prize to eat her way through the website's home-cooked goodies. Congratulations, Gwendolyn Lim! 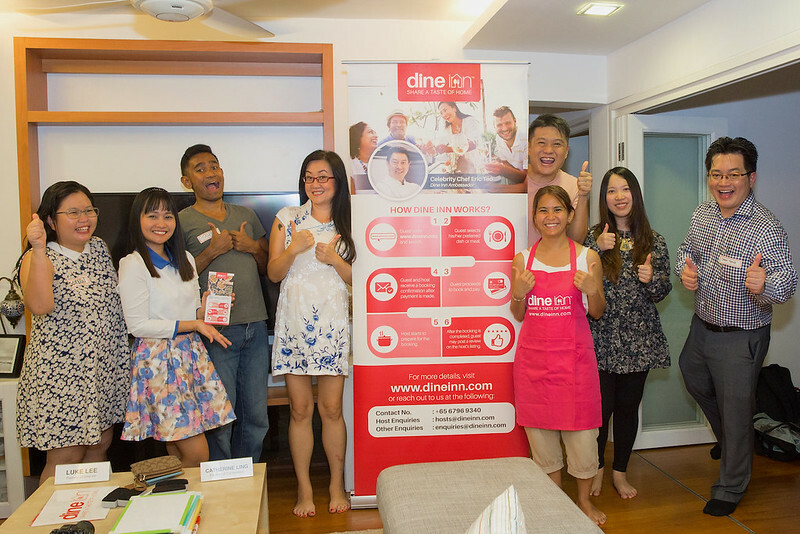 Dine Inn is a community where pre-vetted home cooks can offer their dishes to the public, either at their homes, for takeaway, or delivery. Gwendolyn will be taking over Dine Inn's Instagram (@dineinnofficial) to journal her adventure, so we'll get to read her reviews. I can't wait to see what she will pick, and how the food is. But that's from the early days; the platform is growing and there's more to discover! 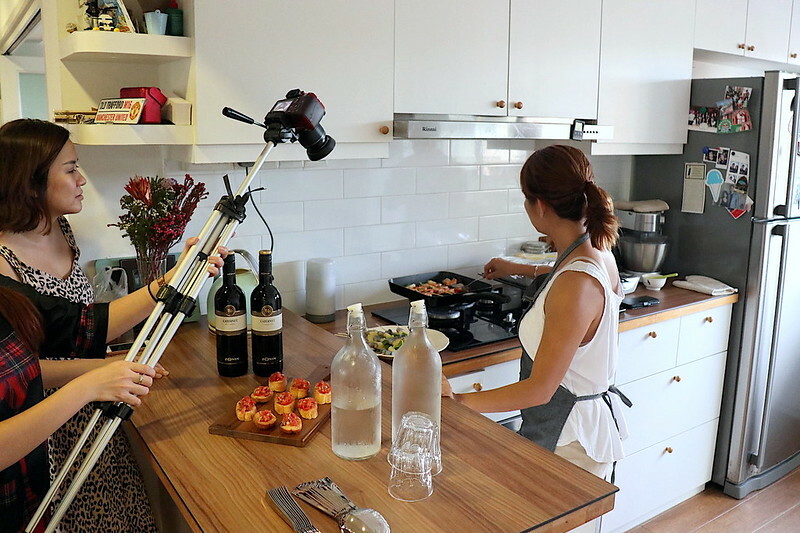 The Master Diner contest saw hundreds of applicants, but only five were shortlisted for a final contest at Natasha's home (she's one of the most popular hosts on Dine Inn). Check out the video for how the finals went! I was tremendously honoured to be asked to help judge the Master Diner finals together with founder Luke Lee. It was fascinating meeting the five contestants - Gwen, Doreen, Tahir, Chow Yong & Reamy - who are from all walks of life. I'm also happy I finally got to meet Natasha and try her food too! Here's Natasha serving us a special Lemon Meringue tart, one of two desserts she prepared for us. She's full of effervescent warmth and makes you feel right at home. Here's a look at the dishes we had at Natasha's home. The food smelled so good as it was being prepared. 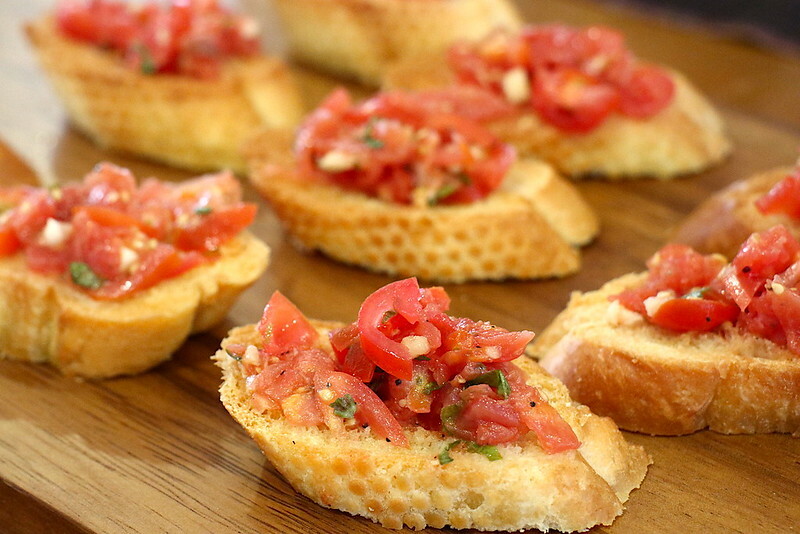 The bruschetta was a beautiful burst of tangy, herby and buttery flavours. It was juicy and crispy at the same time - too easy to eat. 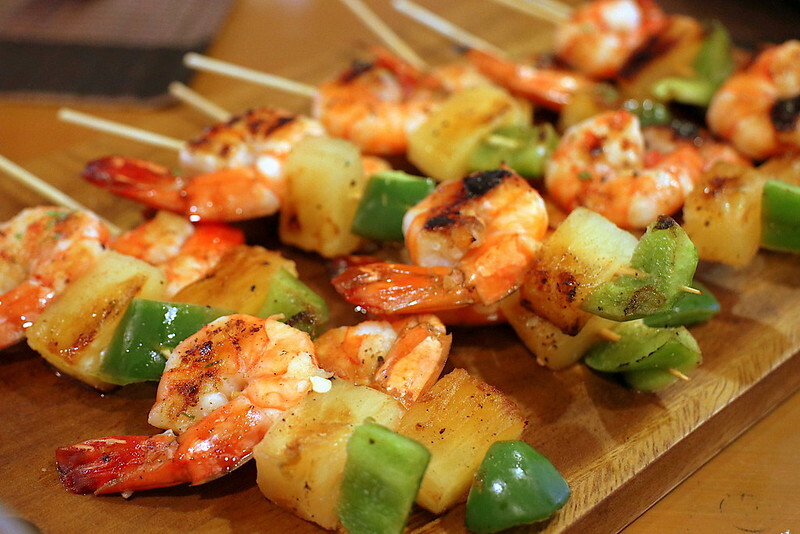 Prawn and vegetable kebabs - simply marinated and grilled - found favour with all of us. Can't go too wrong with fresh seafood paired with the natural sweetness of pineapple and capsicum. 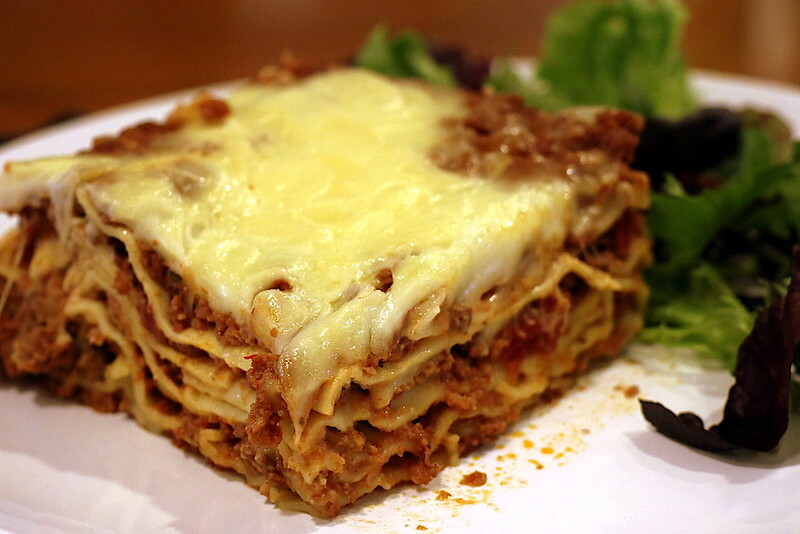 The main course was a supremely generous portion of lasagna. Natasha would normally make this a little spicy for her family, but for us, she didn't just in case some of us don't take spicy food. But I agree that some chili heat would kick this up a notch. Natasha is well-known for her bakes. 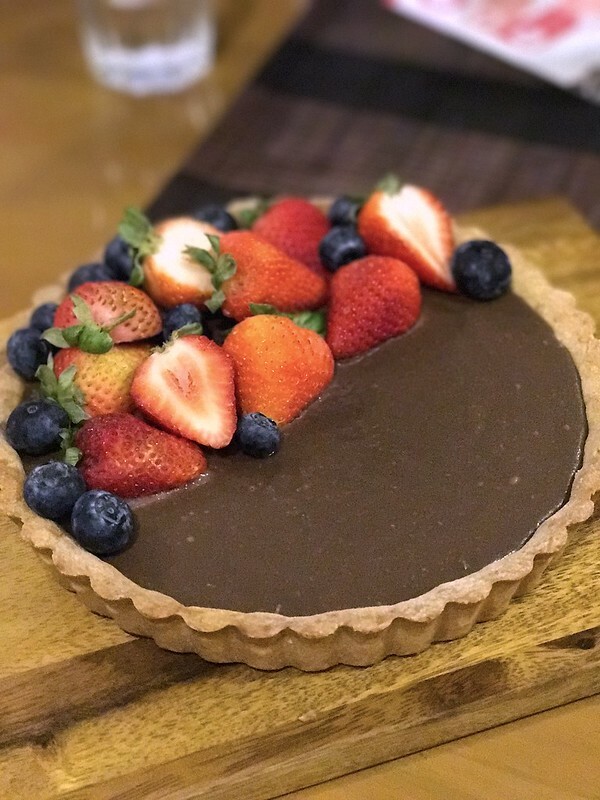 Her fruit tarts always look stunning, and this chocolate tart is no exception. If you like milk chocolate, this one will definitely please you. I'm more of a dark chocolate person, but I felt the fruits and the homemade crust went well with the chocolate base. We all had a fabulous time, and I'm looking forward to more interesting activities from Dine Inn. Remember to follow them on Instagram (@dineinnofficial) and Facebook (https://www.facebook.com/dineinnofficial/) for updates! Many thanks to Dine Inn for inviting me. Except where indicated, photos are taken with the Canon EOS M5 kindly loaned by Canon Singapore.